Equipped with a French bed 150×200 these attic rooms are furnished with great care and reveal particular attention to details. 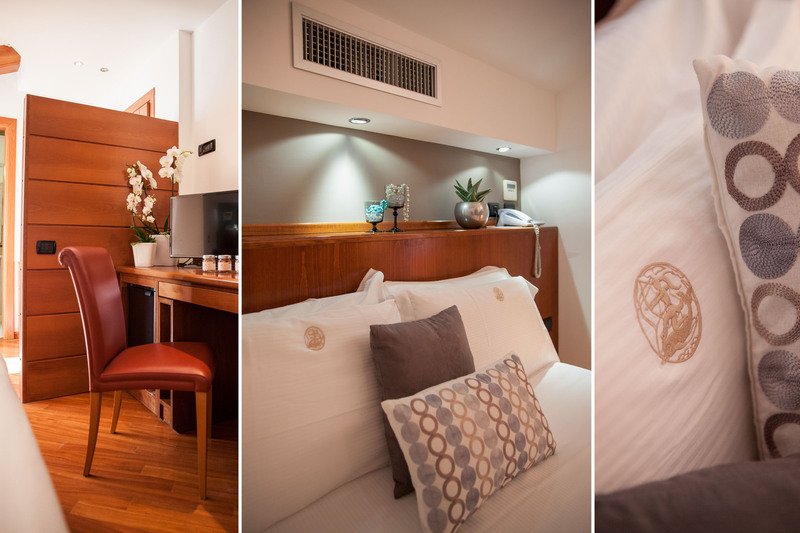 Rooms offer a series of comforts, such as air conditioning, minibar, TV-Led 26”, internet wi-fi. Have a window and not a balcony. The bathrooms in white Carrara marble, have a shower and an elegant courtesy set. The art of hospitality at your service. All settings are new and stylishly furnished. Beautiful rooms with sea view and suites unique for the refinement of the equipment.